Personal Loans > Resources > Major Expenses > Health & Family > Does Insurance Cover Lasik? With the cost of laser eye surgery (Lasik) having the potential to reach $4,000 or more per eye, anyone with interest in this procedure should learn more about the financial impact. While there are many factors that influence the cost of Lasik – including the surgeon, technology, and where you live – nothing changes the fact that the entire procedure is likely to cost four figures. This leads to a very important question: does insurance cover Lasik? Generally speaking, most insurance companies don’t cover Lasik. Here’s why: it’s almost always an elective surgery, meaning the procedure is not medically necessary. 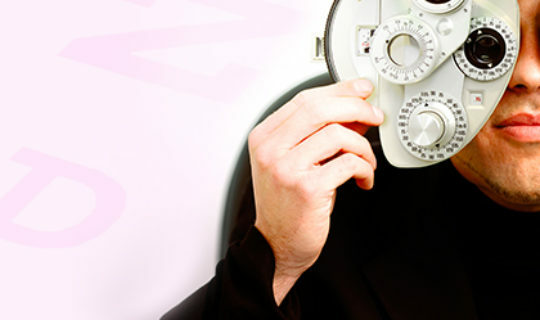 Even if your insurance company does not fully cover the cost of Lasik, it may be possible to obtain a discount. Many of the largest insurance companies, including the likes of Blue Cross Blue Shield and Davis Vision, negotiate special pricing with Lasik providers. This allows them to offer a member discount, thus saving you money. You should never assume that the cost you are quoted for Lasik surgery is what you will actually pay. You won’t know the final expense until you consult with your insurance company to determine if you qualify for a discount. It’s difficult to obtain an exception from your insurance company, but it’s possible in the event that your job requires perfect vision. This can hold true in certain career fields, such as if you are a professional athlete or entertainer. Tip: although it’s possible to petition your insurance company to cover Lasik, it’s a long process that requires quite a bit of documentation. Other people, such as those with a particular medical condition, may qualify for insurance-covered Lasik. An example of this is somebody with contact lens intolerance, often as the result of severe allergies or dry eye syndrome. Do you have a health spending account, such as an FSA, HRA, or FSA? These tax-free accounts are a great way to save money for future health expenses. Lasik is an eligible expense for all health spending accounts, making this one possibility to pay for the procedure. Note: check with your provider in regards to eligibility before moving forward with the surgery. You may qualify for a discount (much the same as with health insurance). Even if your insurance policy does not cover Lasik, it may be something you want to pay for on your own. Despite the upfront cost of the procedure, it will allow you to save money for many years to come. For example, you may no longer need to purchase eyeglasses or contact lenses, thus saving you money every year. You can then make the decision as to how you will pay for the procedure. Some people pay with cash, whereas others consider the benefits of a credit card or personal loan. Personal loans are an option for a variety of uncovered medical procedures. If Lasik surgery is on your mind, it’s time to learn more about the procedure itself and the financial impact. Once you’re familiar with the surgery, the benefits, and the cost, you can then make a decision as to how to best move forward.